Indie games are like a fine wine, in that initially they play fantastically, but with age, they become even more special to the player. One great example of this is Lone Survivor, one of the first indie games I played. Developed by Jasper Byrne, is a 2D psychological horror game that puts you in the role of an unnamed man. This main character wakes up in an apartment complex and quickly decides that he doesn’t want to die alone, so he begins his quest to find somebody else. It gives you sparse supplies (and willpower) each day, and makes you decide what to do with them. Do you sneak past the zombies that plague the halls of the apartment building, or do you shoot them? Do you eat and sleep well, or turn to drugs to keep going on? Depending on how you play, the story molds and changes itself to suit you, giving you one of up to five possible endings at the end. The game plays in 2D, and I realise that makes you ask how it can be scary. Trust me, I understand. I had the same questions when I started playing the game. How can a 2D game be suspenseful and terrifying? How can it hold and deliver powerful tension? The answer is through music. The soundtrack to Lone Survivor is often quiet, but also ever present. With slight guitar strumming and piano notes, it feels light at times, but when the action picks up, the music is able to turn to turn on a dime to match what’s happening on screen, through a cacophony of violins and industrial music, which makes the idea of insanity and terror immediately jump to mind. On top of this, the Foley work for sound effects lends itself to the monsters outside, with squelches aplenty. With completely hand-drawn art, Lone Survivor is absolutely beautiful, even in it’s grossness. If you’ve ever played Silent Hill and afterwards thought to yourself that you want more, this might be the best place to get it. On top of all that, Lone Survivor has recently had a free Director’s Cut DLC released, which updates the games lighting engine and adds a bevy of new content to explore. 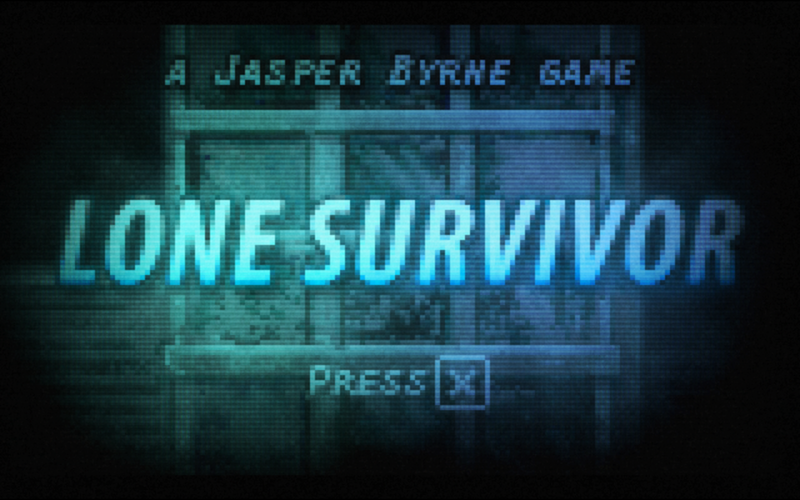 You can find Lone Survivor on Steam for $14.99, and you owe it to yourself to play it if you’re a horror fan.